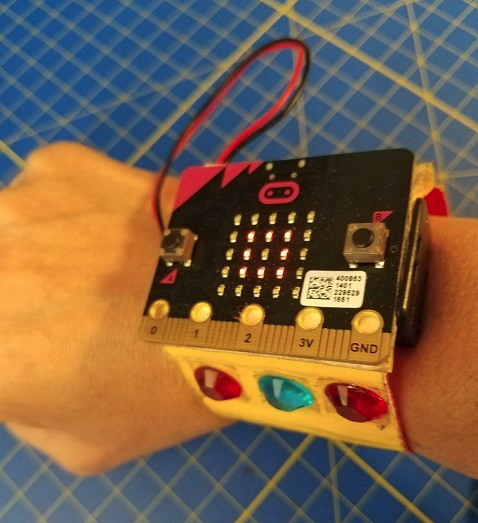 Make the Rock-Paper-Scissors game on your micro:bit and challenge your friends. 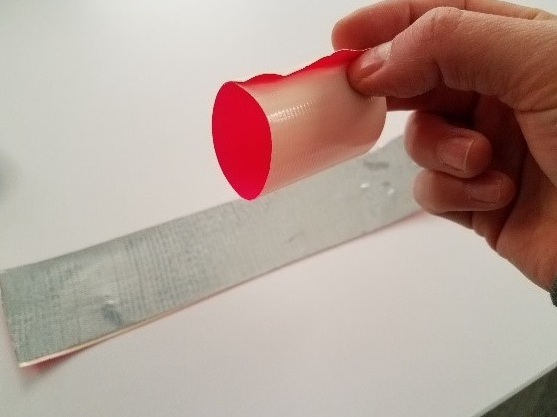 Cut 2 Pieces of Duct Tape about 9-10 inches long. Press the sticky sides together to form one piece of tape (this is tricky!). This makes the band of your wrist cuff. 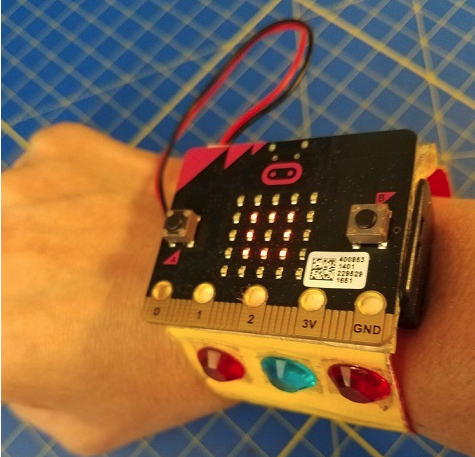 Mount the micro:bit in the center of your wrist cuff band by looping a piece of duct tape around in a circle. 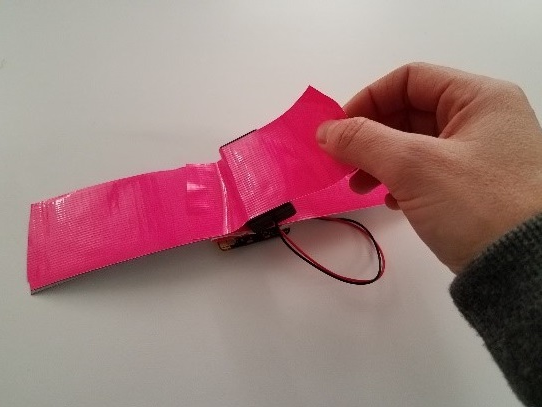 Attach the battery pack to the micro:bit and tape it on the wrist cuff band on the opposite side from the micro:bit. Attach Velcro tabs at the ends of the wrist cuff as fasteners. You may need to try it on your wrist to adjust the size. STEP 4 – DECORATE IT! Decorate the wrist cuff with stickers, glitter, markers, etc. We want the micro:bit to choose rock, paper, or scissors when you shake it. 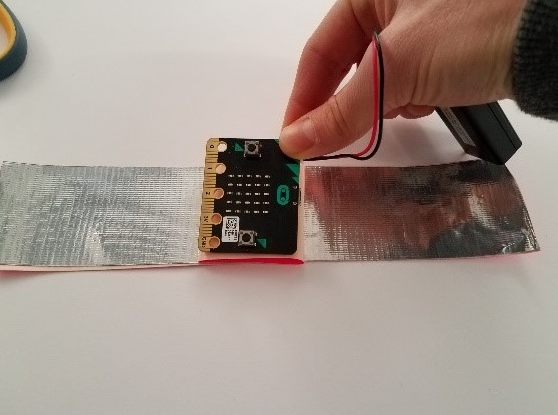 Place a on shakeblock so when you shake the micro:bit, it will run part of a program. 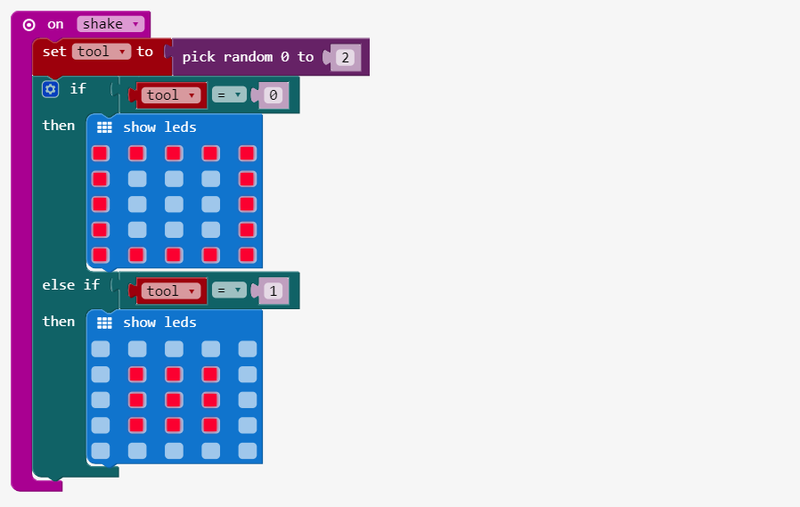 Add a tool variable to store a random number computed with pick random. In a later step, each of the possible numbers (0, 1, or 2) is matched to its own picture. The picture is shown on the LEDs when its number is picked. 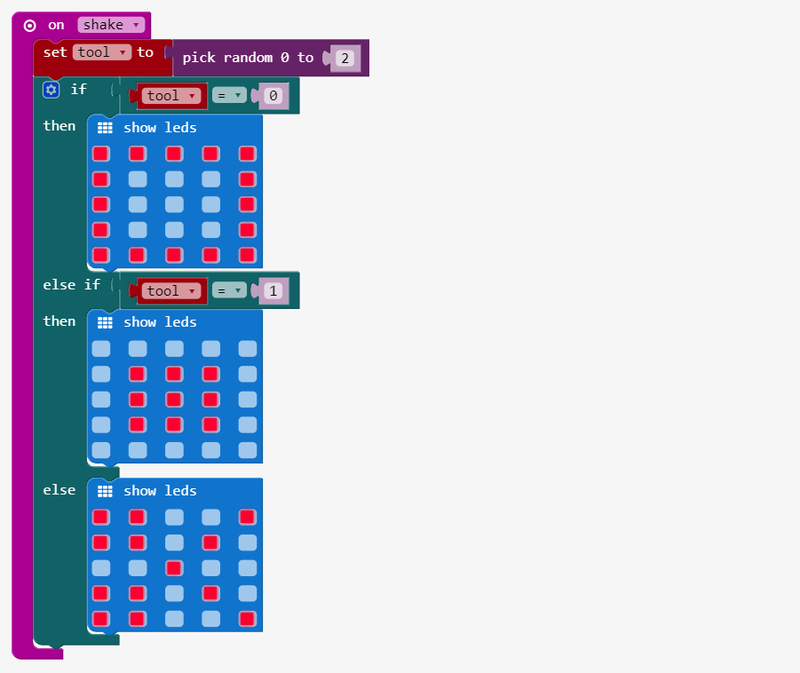 Place an if block under the pick random and check whether tool is equal to 0. In the if block, place a show leds block that shows a picture of a piece of paper. Add an else if block to the if block and check whether tool is equal to 1. Click on the gearwheel icon to open up the if editor; then drag and drop an else if block in the ifeditor. Place a show leds block under the else if and draw a rock image on the screen. Add a show leds block with a picture of scissors to the else part. You don’t need to check if tool is 2 because 2 is the only number left out of 0, 1, and 2. That’s why you can use an else instead of an else if.